MTAA Super and R U OK? 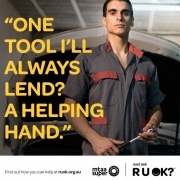 have developed a set of resources that encourages people working in the motor trades industry to better support each other during life’s tough times. 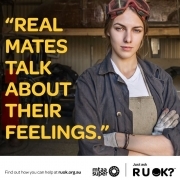 The ‘It takes a real workmate to ask R U OK?’ campaign aims to help workmates get past what can sometimes feel like an awkward conversation when talking about emotions and life’s up and downs on the job. 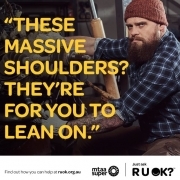 The campaign includes a practical guide to asking workmates R U OK? and is designed to help people manage these conversations safely sensitively and effectively, as well as two different iterations of the downloadable posters and digital assets.